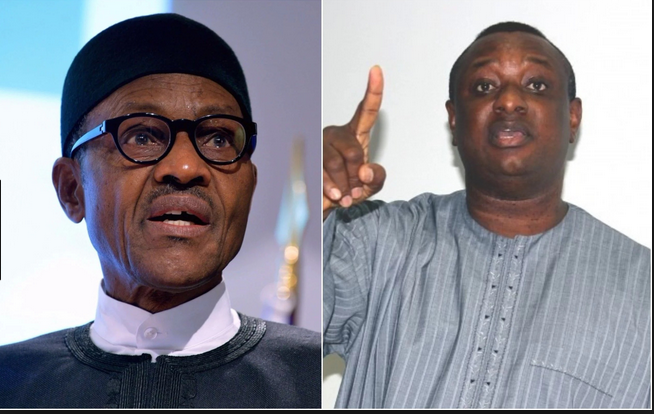 The spokesperson of the President Muhammadu Buhari campaign organisation and a Senior Advocate of Nigeria (SAN), Festus Keyamo, on Thursday, reacted to some of the blunders made by his principal during recent campaign rallies. Keyamo admitted that Buhari exhibited loss of memory but such was normal. “This is classic FAKE NEWS (no single link to a CREDIBLE source). “President Buhari’s Loss of Memory is Normal, Even Jesus Christ and Prophet Mohammed Lost Their Memories At Some Point”. In Cross River, Buhari attempted to handover APC’s flag to a candidate other than the governorship candidate in the state. He had presented Ndoma Egba as the governorship candidate instead of Owan Enoh. Just few days ago, Buhari, while addressing APC members in Ekiti State, said he assumed power in 2005. 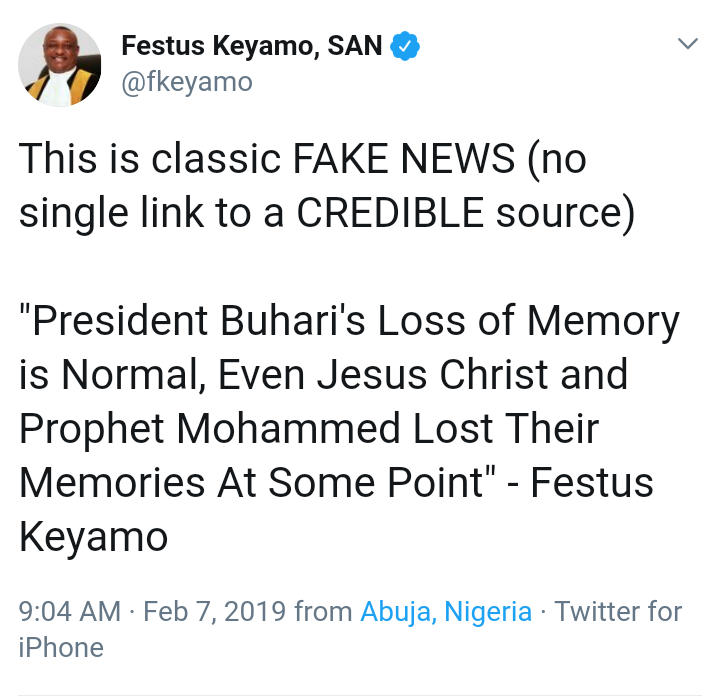 President Buhari's campaign spokesperson has admitted that President Buhari do have memory loss from time to time and this was just because the news and social media captured it. He now made reference to Jesus and Mohammed having in some occasions loss their memories too, which to me, I can't even imagine the absurdity of that statement, and coming from a SAN? God have mercy. The problem is, I'm having a hard time reconciling this whole thing since their is a disease called Alzheimer. Alzheimer is a progressive disease that destroys memory and other important mental functions and it mostly found in people above 65 years of age. Its main symptom is memory loss and confusion. How can I entrust a whole country into someone that can wake up one day and forget his name or that he is from Nigeria? How can you? And unfortunately, this condition can't be cured. But if you are bent on voting him, ask yourself this question and please forget about all the benefits you are getting from him; Will you allow someone in President Buhari's condition to pilot a plane you are a passenger in?